As you can see, I have many blog awards displayed on this blog but I have more to show you, so that is why I have this page. I am very grateful to every person who has nominated me for an award and feel honoured that you value and appreciate my writing. Thanks to catnipoflife.wordpress.com for my second Blog Of The Year 2012 Award. Thanks to Casey Roach: http://caseyroach.blogspot.co.uk for my second One Lovely Blog Award. Who was a winner in our Write-A-Thon competition. She received a signed copy of Write-A-Thon from Author and Writing Coach Rochelle Melander. 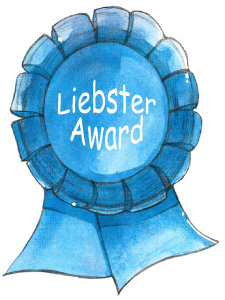 The Blue Liebster Award was given to me by Rohan from rohan7things.wordpress.com on March 15th 2013. I received this Liebster Blog (Love) award from mikesfilmtalk.com on March 26th 2013. I was awarded the Shine On award twice. Once from Oasien at http://oasien.wordpress.com and the other from Alastair at http://kattermonran.com. I made my nominations in April 2013. Thanks to Supriya from hopeoflight.wordpress.com for my WordPress Family Award. I made my nominations for this award in April 2013. 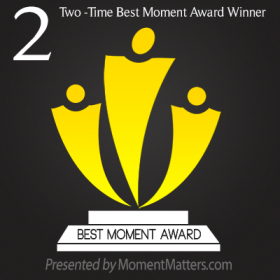 I received my second Best Moment Award from James at detectingblackpool.wordpress.com and my third was from Mick at followmyfreedom.wordpress.com. 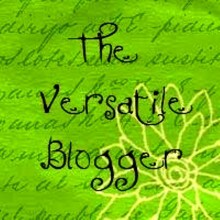 I have been awarded The Versatile Blogger Award twice. The first time by Gabriel Lucatero from http://syl101.com. The second time from http://playfulkitty.wordpress.com. Hi, I’ve nominated you for I’m Not featured on Freshly Pressed award. Please visit http://ladiesbulletin.com/2014/06/10/awards-galore/ for more. Congrats!! I am absolutely thrilled, thank you a million times over. I accept this award with open arms and with the love that was intended. I am behind with my blog award nominations at the moment and I am hoping to catch up with that next month. Sure and you truly deserve it!! You are so kind. Thanks for lightening up my life. I love the site and I think it’s a great idea. I just added my quirkybooks blog to it. I am away from home at the moment so can’t add your badge. I hope to do that this coming week. I also have two blogs about redundancy and getting back into work, not sure what categories to put those under? Hi Sandra – I’m passing along to you The WordPress Family Award and The Dragon Loyalty Award. You may pass them along seperately or in the same blog. The choice is yours. You may pick up your awards at: http://wp.me/p22zGl-yq. Thanks for being such a loyal blogging friend. Thanks so much for these awards. I am so thrilled to receive both of them. I really appreciate you thinking of me. It is so kind of you. I love receiving awards. Just to let you know I was awarded The WordPress Family Award a little while ago and I am just about to publish the post for it but I am very happy to receive another one as I love being part of the family and will gladly accept both awards officially in a couple of weeks time. I am off to London later today and have a little catching up to do with my awards. Thanks again. I am so thrilled. Thank you so much. I accept the award with happiness in my heart. I will. Thanks so much. A bit behind with my official blog post nominations at the mo because of current writing projects but will do a future post. Thanks again. Congratulations on your awards Sandra, here’s the link again for the Wildlife Garden badge.